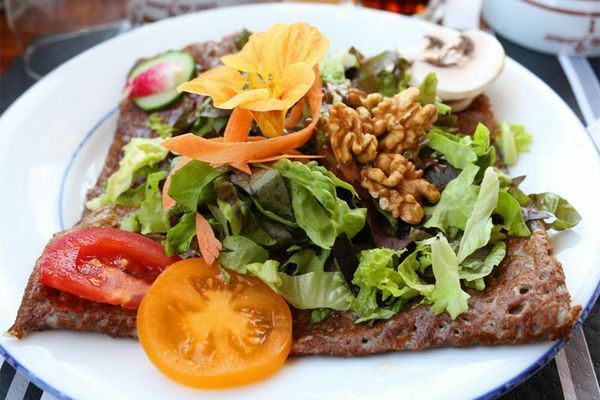 Technically good, assertive and lively… that’s the Crêperie Breizh Iliens, where beach food is much more than just a tourist trap! They don’t have to dance the samba for you to take your mind off poor food at the Breizh Iliens! You mustn’t confuse beach restaurant with tourist food here. 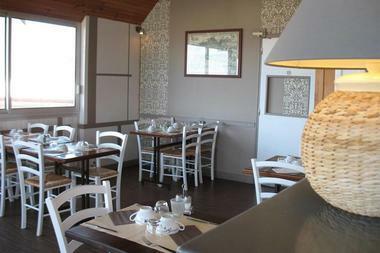 No, the Breizh Iliens has got just the right mix: a contemporary steel interior and a sea view, and high-quality produce. "It’s mainly organic" announces Wilfreid Corbion, who heads the team along with Franck Epert. There are more than 15 specialities including Trieux smoked trout, basmati rice and ‘marchand de vin’ sauce…Now that is different! And the butter crêpe suzette mixed with citrus fruit zest, Grand Marnier and frangipane really makes an ‘entrée’ (or should I say dessert). Mainly local produce is used here, meat from the butcher in Lannion, onions from Roscoff, local vegetables, café Coïc… A big game food-wise!